The first teeth usually appear at about 6 months. This is usually the lower front teeth (incisors) followed over the next few months by the top and bottom front four teeth. However, the age and order can vary. Some children can be born with teeth. 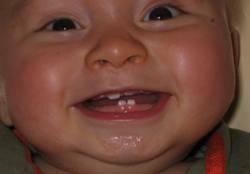 In others the first teeth only arrive at about 1 year old. Usually by the age of two a child will have a complete set of 20 teeth, though again this age may vary. It is usual for the adult teeth to appear larger, and darker than the baby teeth they replace. Often they are slightly crowded because of the larger size. As your child continues to grow, these early problems will usually resolve themselves. Following this there is a lull, until the child reaches about 9, when the remaining teeth will be replaced. Are the baby teeth important? Most children will have baby teeth until they are about 12 years old. Care for these teeth is crucial. The baby teeth occupy the space that their adult successors will fill. Any early loss of a baby tooth means that this space will close, making the adult teeth more crowded and increasing the likelihood of your child needing braces. Baby teeth can decay very quickly without proper care. Rotten baby teeth can cause infections and pain and need extracting. The amount and type of treatment that your child needs can shape their whole future of dental treatment. As soon as your child gets their first teeth, it is good to start cleaning them. Some children do not like having their teeth cleaned. Do not worry. Persevere as much as you can, try and encourage your child. Brushing teeth will become a normal everyday exercise. Use a toothbrush suitable to your child’s age. Brushes are designed to be easy for adults to hold but also to encourage the child to have a go as well. Use a small amount of a child formula toothpaste pressed gently into the brush. No more than a small pea but less will be OK.
Brush each tooth in small circles. Encourage your child to have a go, but you should supervise and help. A child will struggle to brush well until they are coordinated enough to tie their shoe laces. Avoid introducing sugary foods and drinks, particularly under 1. Squashes and juices should be diluted; ideally water is best for your child. Encourage your child onto an ‘easiflow’ cup then to an adult or ‘doidy’ cup from 6 months. When should we visit a dentist? As your child’s teeth arrive they will go through various stages or crowding and straightening of the teeth. In the UK it is unusual for any treatment to be provided relating to crowding before all the adult teeth are present, or erupting. This is because early treatment does not improve the overall development, and means your child will have to go through more treatment than if they wait. However if you are concerned about the way your child’s teeth are developing then ask your dentist to check. It gives an opportunity for the dentists to monitor the development of your child, reinforce preventative advice, and provide preventative or interceptive treatment. All this will help reduce the change that your child will need major treatment as they get older. Please ask the surgery staff for more details or if you would like to register your child. It is good to introduce your child to a dentist as young as possible. This ensures they are registered for treatment if they need it and gives a chance to develop a good relationship between your child and the dentist. 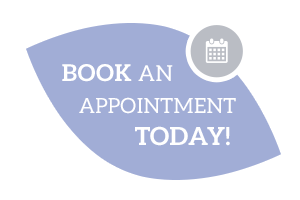 Your dentist will monitor the way the teeth develop, and if treatment is needed for crowding they will refer your child to an orthodontist, a specialist in moving teeth. Under the NHS changes in 2006, treatment under the NHS is restricted to those with more sever crowding. 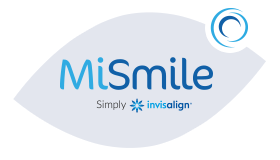 This is assessed using an nationally accepted assessment scheme called IOTN (Index of Orthodontic Treatment Need). Children not eligible for treatment on the NHS can still have treatment but they will have to lay privately. Your dentist will go through the assessment at the time of referral.